The Acura RDX continues its quest to conquer luxury's largest segment, topping its previous annual sales record with more than six weeks remaining in 2018. Since the launch of the fully redesigned 2019 model in June, RDX has posted five consecutive monthly sales records, with year-to-date sales in excess of 52,361 units, the previous record it set in 2016. 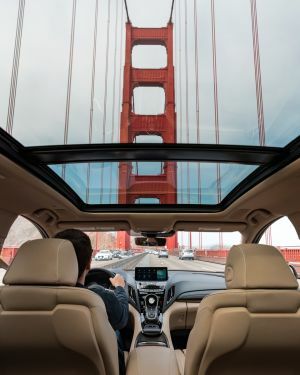 "As the first in a new generation, the 2019 RDX significantly ups the ante in terms of performance, design, materials and technology," said Jon Ikeda, vice president & general manager of Acura. "The positive response from our customers is a powerful statement about the future direction of the Acura brand." RDX has quickly become the retail best-selling model in the premium midsize CUV category, luxury's largest segment, and the number three top retail selling vehicle in all of luxury1. Further, RDX has helped Acura to a 7.3% gain in luxury SUV sales for the year, including a new all-time record for Acura SUVs in October. On a cumulative basis, all-time RDX sales now exceed 415,000 units, and RDX is the only model in its segment to top 50,000 units in sales every year since 2015. Moreover, the RDX is the class leader in sales to under-35 year-old luxury customers cumulatively since 2013. Year-to-date, Acura is one of only two top-five luxury brands in positive retail sales territory. The recently redesigned Acura ILX sports sedan continues to gain market share, capturing the highest number of millennial buyers in segment, while the midsize TLX is outpacing key competitors from BMW, Lexus, Infiniti and Volvo in retail sales for the year. The Acura MDX, a perennial top choice in the premium upper midsize CUV segment, also holds the title of America's best-selling three-row luxury SUV of all time. 1. Based on Urban Science retail sales data 2018CYTD September.